3) have an active ranch operation in BC. 1. 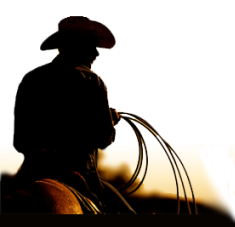 Provide a description of the ranch including the environment it operates in. 2. Describe what the ranchers are doing to improve environmental management on their ranch. 3. What have the challenges and successes been? Please include pictures or data to help show measurable results. 5. What are the environmental goals for the ranch in the future? How do they plan to carry them out? 6. Include two letters of reference that speak to the rancher’s leadership in conservation. Each nominee will receive an in-person visit to learn about their ranch practices and philosophy. The evaluation will consider the livestock management, land stewardship, animal care, benefit to the environment and the nominee’s contributions to industry or community. A diverse panel of judges with representatives from the cattle industry, conservation organizations, and an Agrologist will review the ranch evaluations and will select a recipient. Recipients are announced at the BCCA Annual General Meeting & Convention each year. A diverse panel of judges with representatives from the cattle industry, conservation organizations, and an Agrologist will review the ranch evaluations and chose the recipient. Recipients of the Ranch Sustainability Award are announced at the BCCA Annual General Meeting. Award Recipients of the Ranch Sustainability Award will receive a commemorative gate sign, a trip for two to the BCCA Annual General Meeting, a trip for two to attend the Canadian Cattlemen’s Association meeting where they will compete for the national award. Deadline for nominations is September 1st. Electronic applications are preferred and can be submitted via the online form (below) or via email to [email protected] Please limit your application to 10 pages (not including letters of reference and photos). The Ranch Sustainability Award is supported by the generous sponsorship from the Beef Cattle Industry Development Fund, BMO Bank of Montreal, and MNP.